Summary from Goodreads: Andie had it all planned out. Guys? Check (as long as we’re talking no more than three weeks). Because here’s the thing—if everything’s planned out, you can never find the unexpected. 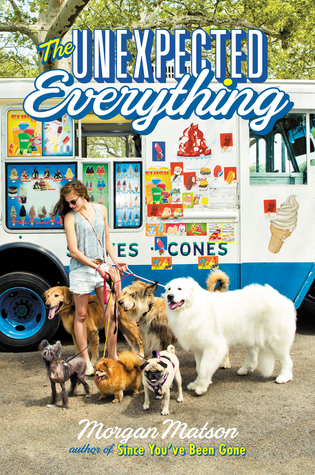 The Unexpected Everything is easily my favorite contemporaries. It’s only my second Morgan Matson book and sure, I enjoyed Since You’ve Been Gone, but I loved this one. It’s not just romance though like most contemporaries, it’s so much more. It’s about friendships and family and I loved every single bit of it. I will admit the beginning started off a bit slow, but as I continued to read, it was impossible to put it down. About 1/4 of the way through it really picked up and got interesting. It didn’t even feel like 500+ pages. It felt more like 450. I loved reading about Andie and her dad’s relationship. Andie’s father, a congressman, was staying home in the summer because of a scandal that had gone on. It started off awkward for the two of them because he was always working and never around. Yet as the book goes on they grow closer and closer. I loved how Morgan Matson showed them growing closer together and their strengthening relationship. The friendships were amazing too. Andie and her three best friends Bri, Toby, and Palmer are all so close and their friendship was really realistic. I loved books with strong and realistic friendships and this one did not disappoint in that area. I even loved the friendship Clark had created with Tom, Palmer’s boyfriend. I knew that this couldn’t last – that there were people waiting and he had things to do and this couldn’t go on forever. But in that moment it was like everything faded away and there was only me and Clark and the possibility of us. Clark and Andie’s relationship had a bit of a rocky start. I really loved their relationship though. He was a bestselling novelist dealing with writer’s block and I just loved how Andie helped him through it. The parts where they were creating that little story when they would walk Bertie were adorable. Clark is just so sweet and I loved him. There were times in this book where I was laughing, and other times where I felt like I was going to cry. There was so much emotion in this story and I love when authors can make you feel that way. The texts between Andie and her dad, friends, and Clark were hilarious. I loved them. Saying that I love this book is an understatement. This is my second time reading it. The first time I was in a terrible reading slump and I had a terrible time getting into the story. It took me over three weeks. But this time? I couldn’t put it down! Six of Crows is by far one of the best books I’ve read! “You’re all horrible,” said Matthias. These characters are my favorite band of characters, like ever. I love them all so much. Inej is probably my favorite, but I love them all. Kaz, Nina, Matthias, Jesper, Wylan, all of them. Sure they can be annoying at times, but still my all time favorite batch of characters. They’re sarcastic and witty but also super dark and aghhh, I just love it so much! Another thing I love about this book is the romance. Very rarely it seems like nowadays do books have plots that aren’t so centered around the romance. 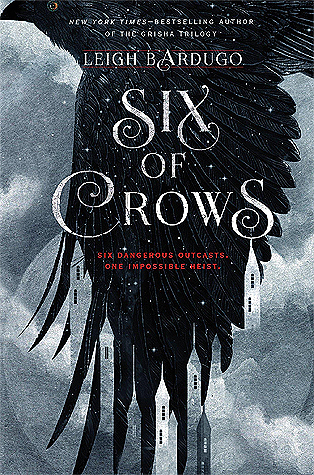 Six of Crows has romance, but it doesn’t get in the way of the plot. I love all the relationships though. It’s impossible to choose a favorite. The writing is wonderful. Leigh Bardugo is so easily able to get me sucked into her world, and I never want to stop reading! The whole heist plot is so intriguing, and kept me on the edge of my seat the whole time. Seriously, there definitely aren’t enough heist YA books out there, but this one totally makes up for it. The world building is incredible as well. Instead of mainly in Ravka like the Grisha trilogy, this book takes place Kerch/Ketterdam and Fjerda. I really enjoyed getting to see a new part of this world that we didn’t previously. Overall, Six of Crows is an amazing must read. If you still have yet to get your hands on it, I recommend you do so immediately, especially with the upcoming release of Crooked Kingdom. 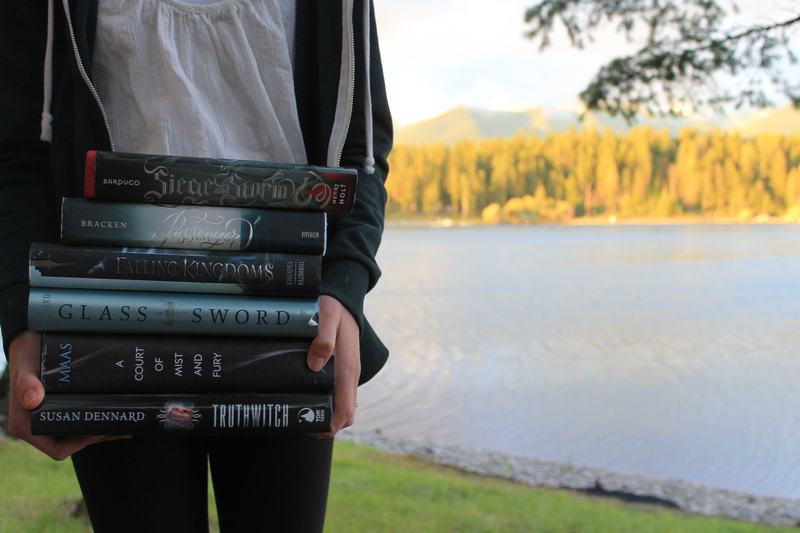 Leigh Bardugo is such a great author, I totally recommend all her books! I enjoy Matson’s writing as well, though I’ve only read The Unexpected Everything and Since You’ve Been Gone. A contemporary even over 400 pages is rare, so picking up a 500+ one was a bit of a surprise to me, but like I said, it went by so quick it didn’t feel even close to 500 pages. I need more heist books in my life like Six of Crows though. Thanks for stopping by!